The STAY WET DIVING CENTER started operating in March 1995 starting with a few certified divers and expanded to one of the best organized diving bases in Crete. Recognized by the greek government, member of the "PADI RESORT ASSOCIATION" and certified by the quality control organization Veritas, it is keeping a high standard of security and service. Only half an hour (20km) west of Heraklion - the capital of Crete - and next to Agia Pelagia, you will find a windprotected bay called Mononaftis. 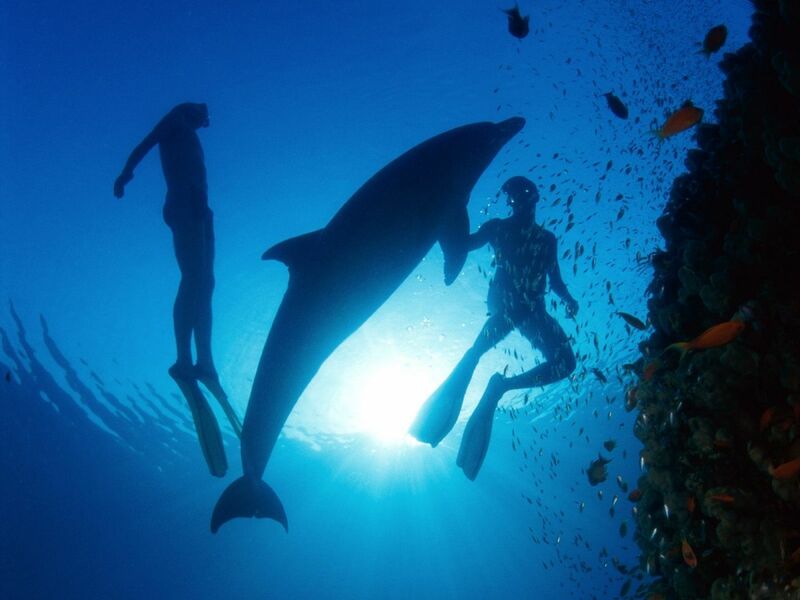 Here, and in the surrounding areas, you will find a variety of excellent dive sites with warm and crystal clear water. You will be charmed by the silent and peaceful inhabitants of the southern Mediterranean Sea with it's rocky or sandy landscapes. Groupers, starfish, colorful sponges, octopus, moray eels and other mediterranean fish and plants can be seen during your trip under water. Occasionally dolphins, small stingrays, barracudas and seahorses will join you. The underwater world of Crete is rich of slopes, caves, cliffs and offers a wide range of spectacular dive sites for divers of all levels..